A lot in Nashville has changed since the days of the WSM Barn Dance, the precursor to the now world-famous Grand Ole Opry (“the show that made country music famous”). Not to mention the days in which Elvis Presley was recording hit after hit at historic RCA Studio B, helping to solidify Nashville’s reputation as Music City. In the past five years, media outlets like Time magazine and the New York Times labeled Nashville as the “It” city, thanks to its stable, growing economy and high marks for livability, among countless other factors. Along with the population growth and a fast-growing tourism industry come new challenges. Fortunately for Nashville, Graves has plenty of experience addressing transportation issues. 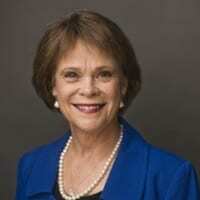 Graves was the mayor of Gallatin—where she made greenways, bridges, roads and other infrastructure initiatives a core focus—and prior to that she was in the state Senate for eight years. She reflects on her leadership experience in this video where she participating in her first Hytch -- a shared ride she took with Carissa Biele before news of a big endorsement by Nissan was released. Since then, the idea that we should all “Hytch” more often is taking root in Nashville. With Tennessee’s population expected to grow by a million people or more by 2040, Graves is well-aware that both short- and long-term initiatives will need to be implemented to reduce congestion. “One of the things we are doing is a Transit Citizen Leadership Academy [where] we bring in citizens from the whole Middle Tennessee area and we try to educate them about what is happening and why we are seeing the increase in the traffic and what are some of the hurdles we need to overcome and where we are going to be in the future,” she begins. It’s imperative to find “funding sources that we can look at to underwrite the cost of putting a transportation system in,” concludes Graves. The Transit Alliance joined The Transit Coalition—a group of 40-plus agencies, organizations and labor groups—that are working together to promote transit in Middle Tennessee. They collected over 30,000 signatures to highlight community interest in Mayor Barry’s transit referendum for Davidson County - on its way to a vote May 1st. As the city and its residents are engaging in a healthy, ongoing dialogue about transit, Nashville leaders are also embracing technology as a means of reducing traffic and congestion in the near-term.  The newest approach and certainly part of the solution is an incentive system for carpooling called Hytch Rewards created in Nashville by a team still celebrating their 2018 Emerging Company of the Year Award from the Nashville Technology Council. Thanks to forward thinking companies like Nissan and Franklin Synergy Bank, both the driver and passenger get paid when they share a ride using Hytch. Like Graves and Beile did -- friends, neighbors and co-workers invite each other to a “hytch” and participants get rewarded with points (that convert to cash!). Each ride is 100% carbon neutral. Notably, Hytch Co-Founder and CEO Mark Cleveland is a graduate (class #9) of the Transit Citizen Leadership Academy. Winner of Nashville’s 2014 NEXT Award as Entrepreneur of the Year, Cleveland is a big fan of the program Graves operates. Hytch earned the 2016 Metropolitan Planning Organization’s Innovation Award for their fresh approach to traffic problems. Employers in Tennessee are looking at Hytch as both a marketing tool, an incentive system for employees, and a cost effective solution to congestion. Learn more about Hytch Rewards and begin earning cash for reducing traffic today!